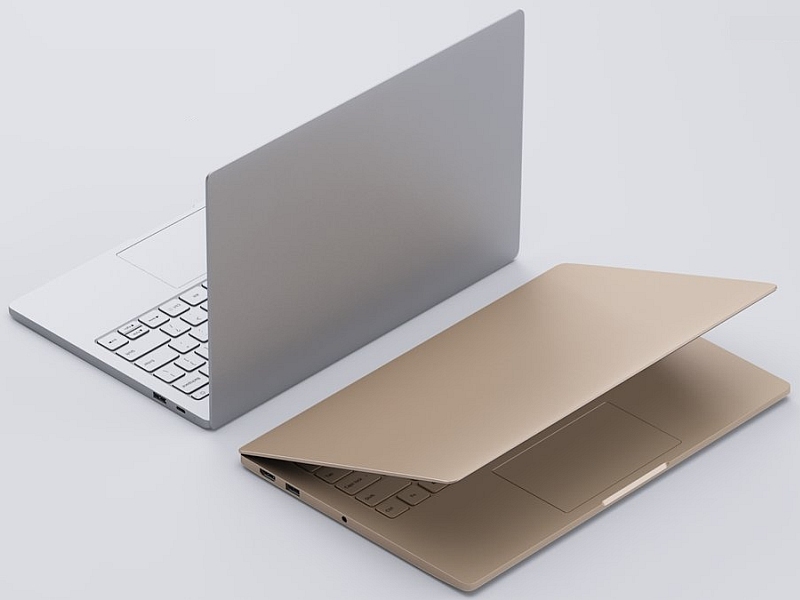 We first reported that Xiaomi is working on Macbook Air type Notebook in December of 2014. 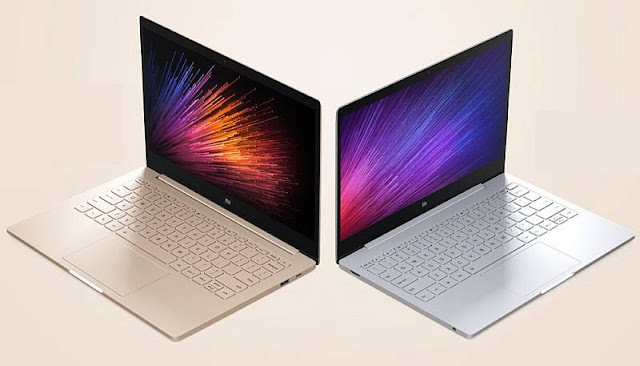 Today Xiaomi announced its much awaited entry into the Laptop category, with its first notebook christened as the Mi Notebook Air - sporting all metal body. The major USP of the product is going to be its price tag that comes at half the cost of MacBook Air. The two models, a 12.5-inch display variant is priced at CNY 3,499 (about Rs. 35,300), and a 13.3-inch variant priced at CNY 4,999 (approx. Rs. 51,400). This is the first 13.3-inch computer ever from this Chinese maker that runs on Windows 10- Home and is lighter than Apple Macbook Air by 70 gm (at 1.28kg). 13.3-inch display variant of Mi Notebook Air bears a full-HD resolution, with a 5.59mm-thick bezel and appears about 11-percent smaller than the MacBook Air. The notebook is 14.8mm thick compared to the MacBook Air's 17mm thickness. The Mi Notebook Air's full dimensions are 309.6x210.9x148.8mm. The 12.5-inch Mi Notebook Air variant is 12.9mm thin, and weigh in at 1.07kg, which is slimmer than the 12-inch MacBook's 13.1mm thickness, but heavier than the Apple MacBook. The Mi Notebook Air is a great product from house of Xiaomi. However Macbook Air from Apple is targeted for niche and high end customers. Whereas Mi Notebook Air with its mid-price and affordability factor is aimed to drive volumes. None the less, if you are looking for a light-weight, sleek and Macbook styling under Rs. 50,000 – this laptop fits the bill. Stay Tuned to ReviewsToday for more upcoming updates and reviews.